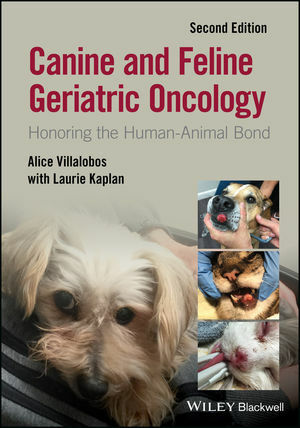 Alice Villalobos, DVM, is a past President of the American Association of Human Animal Bond Veterinarians, President Emeritus of the Society for Veterinary Medical Ethics, Fellow Emeritus of the National Academies of Practices, and a Founding Member of the Veterinary Cancer Society. She is Director of Animal Oncology Consultation Service in Hermosa Beach and Woodland Hills, California, USA. She is also Director of Pawspice, an end-of-life care consultation clinic. Laurie Kaplan, MSC, is a medical animal writer in Ossining, New York, USA, founder and administrator of the Magic Bullet Fund, and author of Help Your Dog Fight Cancer: Empowerment for Dog Owners.